We’ve been gripped by a media frenzy ever since the Duchess of Cambridge landed in New Zealand with Prince William and baby George, but the deeper meaning of this visit is symbolised in the details of Kate’s clothing and jewellery. 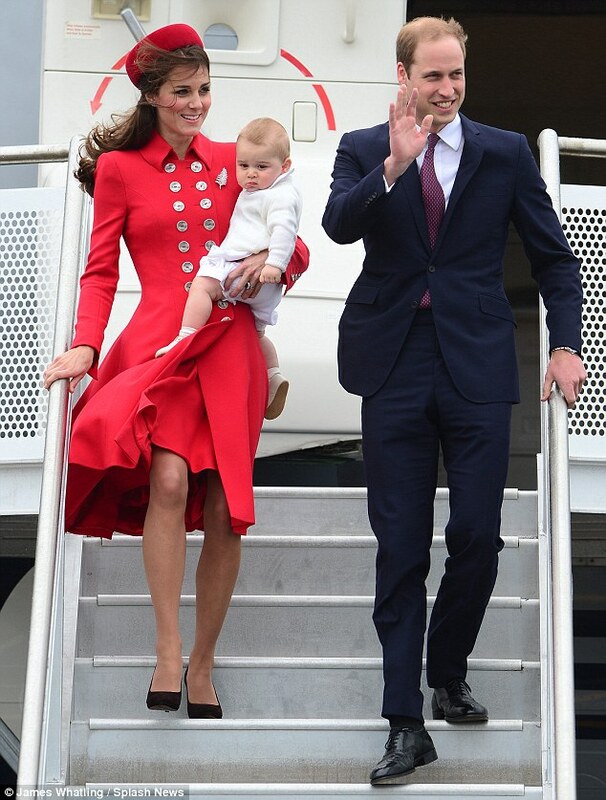 When Kate and William stepped off the plane, our attention was immediately drawn to the little boy in her arms (who is teething, so give him a break if he’s not smiling for the cameras). But it is the brooch on her shoulder that grabbed my attention. The silver and diamond fern brooch is a great nod to the national emblem of New Zealand, which also famously features on the All Blacks’ strip. 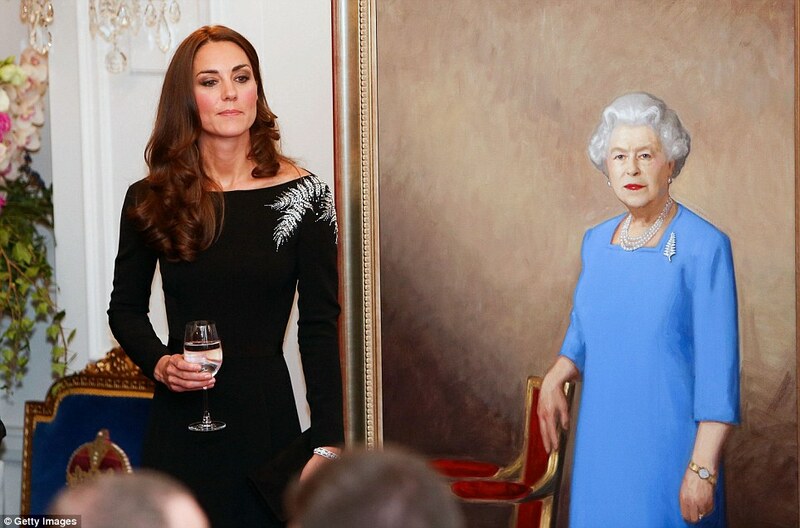 The dress that Kate wore to Government House, Wellington was a very self-conscious nod to the All Blacks, but done in the most stylish way possible. The ferns on Kate’s shoulder reflect the fern brooch worn by the Queen (also on her left shoulder) in the portrait. 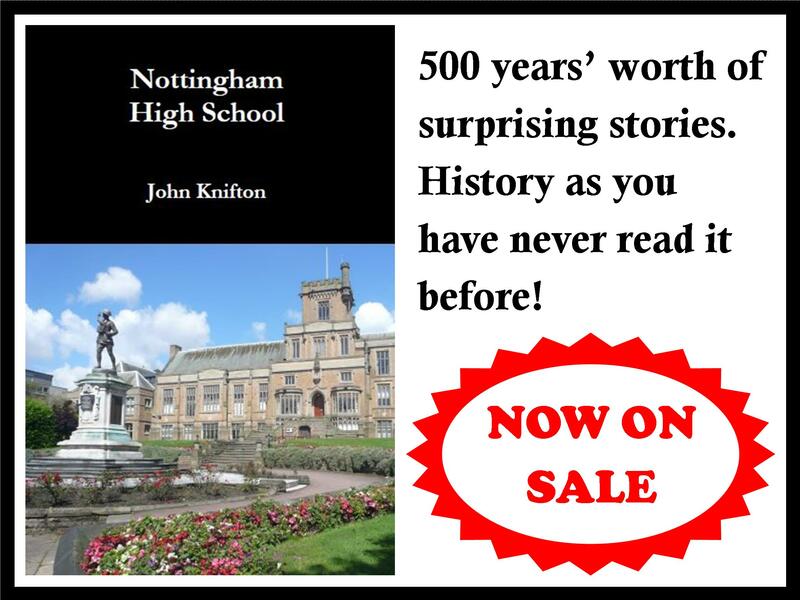 Does that brooch look familiar? Kate wore it when she landed in New Zealand. 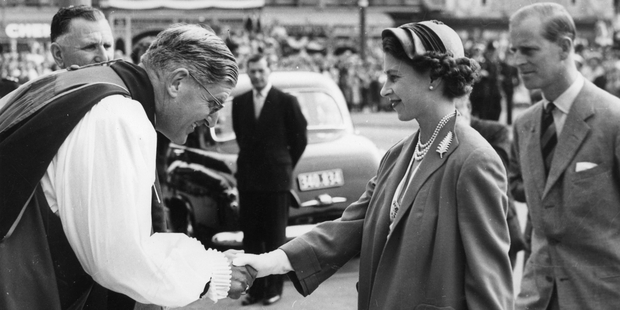 And guess what – that silver diamond brooch was given to the Queen back in 1953, when she toured New Zealand with Prince Philip. The women of Auckland gave this brooch to the Queen, and she has shown her appreciation for this gift by wearing it in a portrait 60 years later, and lending it to the Duchess of Cambridge to be worn on the first day of their visit. 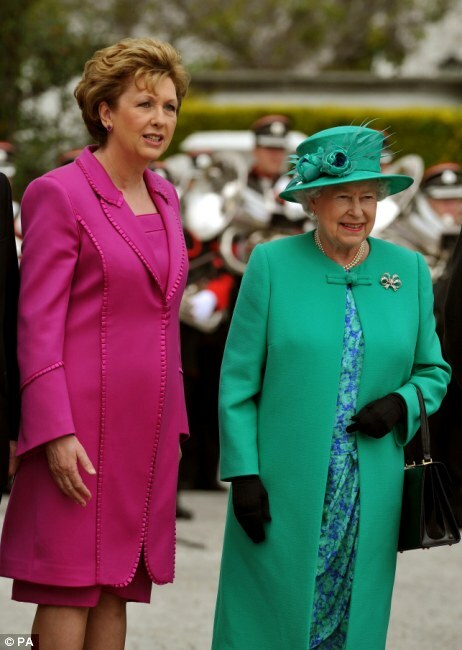 The Queen is a fantastic and intelligent dresser – she often dresses herself in the national colours of the host country whenever she tours abroad (most memorably when she last visited Ireland she wore Emerald green) and often wears symbols that are special to different towns in England when she visits (for instance, she wore a hat decorated with arrows when she came to Nottingham). It’s great to see the Duchess of Cambridge taking a leaf out of the Queen’s book.